Are you unsure if you should spend your money on a home remodeling project – and if you do – what specific project to choose? If you can find yourself in one of the 3 groups below you’re probably struggling with this remodeling decision right now. Group 1 – Overwhelmed new homeowner – You’ve just bought an older home in a nice neighborhood that needs some work (OK – it needs A LOT of work! ), but you’re wondering what project should you do and how much should you spend. Group 2 – Debating, “Should I get out of here?” – Your current home just isn’t cutting the mustard. Yes – it used to work for you and your family – but the times and the people living in your home just don’t have the same needs. You’re now debating (a) stay and remodel or (b) get the heck out of here. Category 3 – You love your existing home but know you won’t get your money out of a remodeling project – In this scenario you may think should I even care about getting my money out of this home or just enjoy it and have my heirs worry about how much this home is worth when I’m no longer around? 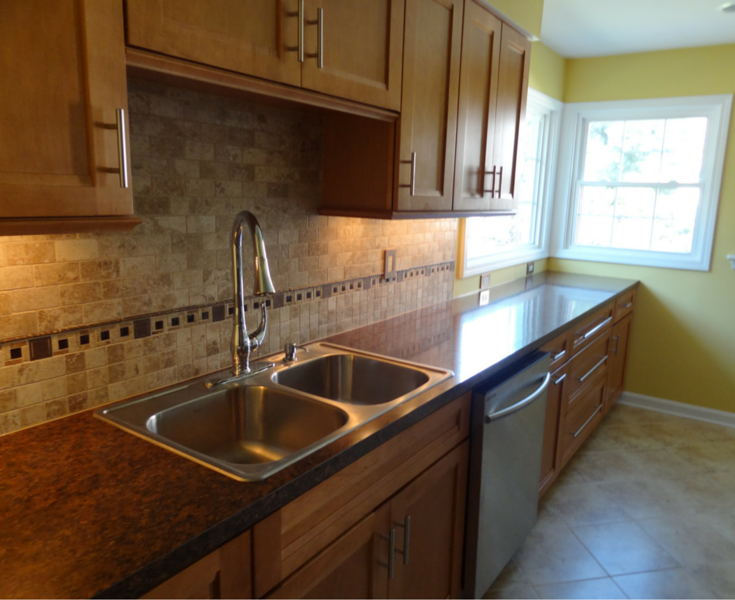 The challenge becomes how do you make sense of where (or even if) to put any of your hard earned money into remodeling or replacing any of the old features of your home. While this type of decision can be based off your logical (left brain) side, don’t discount the emotional (right brained) side in your decision making either. So how can you make sense of the decision to spend or not on your home? 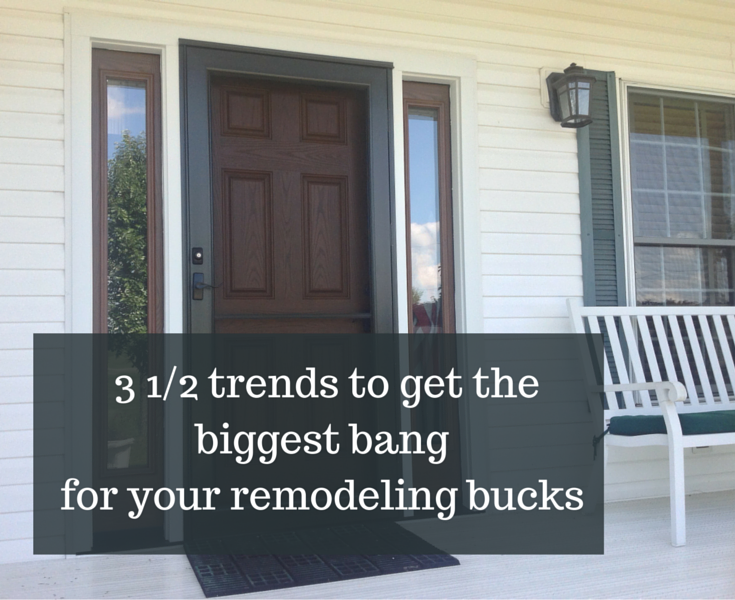 How can you get the biggest bang for your remodeling bucks the Cost/Value study can help? What is the 2016 Cost/Value Study? 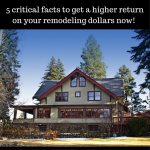 For the 29th year Remodeling Magazine creates a report (the Cost/Value report) which looks at the changes in home improvement costs (your bucks) with what value (your potential bang) real estate pros think you’ll get back. So if a project has a 80% value it means you can expect to get back $80 resale value for a remodeling or replacement project which cost you $100. If math class made you nuts you know there is nothing more boring than reading a bunch of dry stats. So – in this article I’m still going to give you a few figures (sorry about that math haters), but I’m also going to provide you the 3 1/2 trends to guide your remodeling decisions no matter which of the 3 groups above you identify yourself with. You may be asking what’s the “half-trend” all about. Sorry I can’t tell you – you’ll have to read the whole article to find out! Read on please. Although most of the top items add curb appeal the top financially returning project from the Cost/Value study is one you can’t see at all (which came in at 116.9%) and that’s adding attic insulation. So much for the statistics all fitting in a nice neat package! Trend 3 ½ – As they say in New York – FuggitAboutIt! This may not be as much about a trend as it is about having an attitude of enjoying your life. In this world when we’re honest with ourselves most of our “logical decision making” is often we find the “logic” to back up emotionally what really want to do! 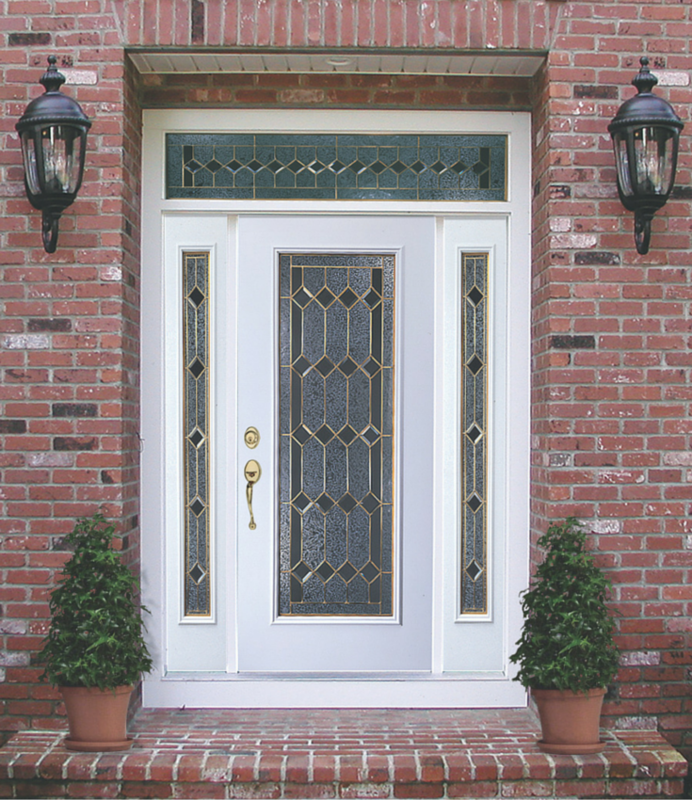 If you’re in a home that you love, have great neighbors and enjoy the views, the sights and the sounds of where you live – you may want to take all the logic and the trends mentioned above and as they say in New York – FuggitAboutIt! Life (and your home) is meant to be enjoyed. I am increasingly seeing people who are saying “the heck with resale value” (or who really cares about the cost in relation to resale value).” Here are two customers we worked with recently and why they told me they did their remodeling projects (they were not concerned about ROI). You can see from the pictures of their projects they are not afraid to “have it their way” (as the old Burger King commercial used to say). “I’m going to go out of this place feet first. 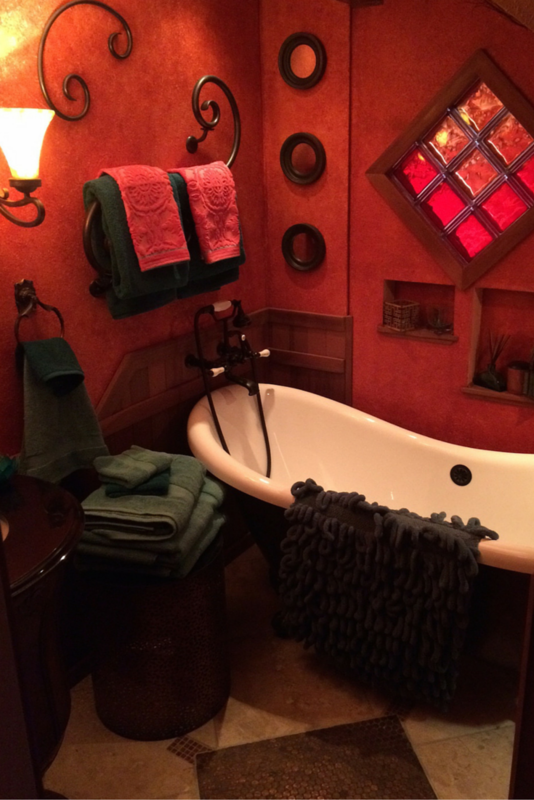 I was determined to make this bathroom the way I wanted it to be.” Don Laufersweiler of Columbus Ohio. I hope this article helps to clear up some of the confusion (whether you’re a right brained emotional type, or left-brained logical person) and helps you get the biggest bang for your buck. If you’re debating a remodeling project please comment in the box below or give us a call. Yes – we’d love to help you on your remodeling project – no matter what the size, the scope or where you live (we also are a nationwide material wholesaler). 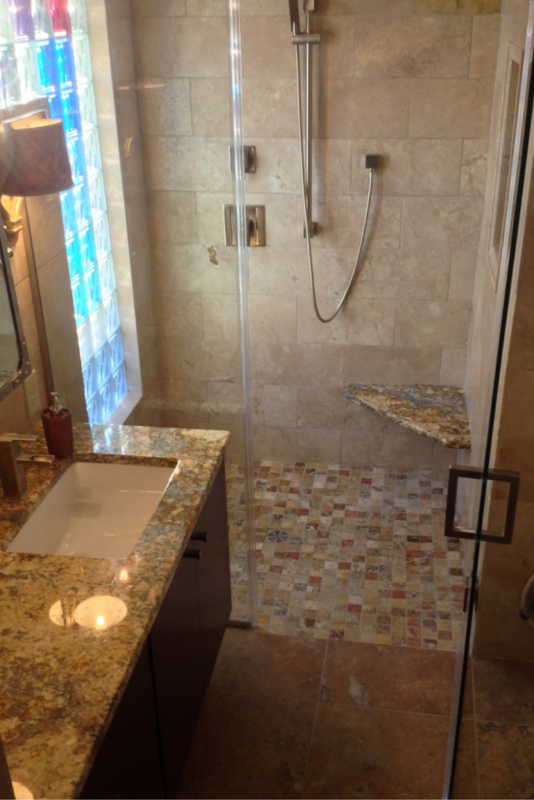 For an Akron or Cleveland remodeling project call Cleveland Design and Remodeling at 216-658-1270. In Columbus The Bath Doctor at 614-252-7294. For nationwide supply of kitchen and bathroom remodeling products contact Innovate Building Solutions at 877-668-5888. Need cost effective space? It’s right under your feet!